We watch so many basketball games that we expect a team to never divert much from the median. That’s why the postseason is so fun. You can see players start to simply try harder on the court, and coaches start to game-plan against specific player weaknesses mercilessly. This is why the NBA Finals are even a cut above the postseason itself. It doesn’t matter if you’re LeBron James, Stephen Curry, or Kevin Durant, the first 5 minutes of any first Finals games is a frantically sloppy effort from both teams, culminating into a fantastic amalgamation of pure fun. 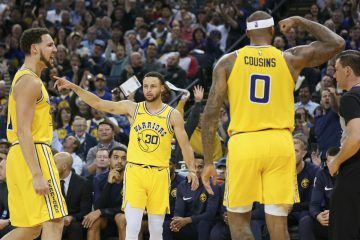 The Golden State Warriors, on Tuesday night Game 2 against the New Orleans Pelicans, were simply entertainment with Steph back in the fold. They were different, the atmosphere was different, and the game was different. Not a better result, but a result back to the median of what they built their identity around. The crowd still covets a Stephen Curry shot, and make, like no other in the entire league. The crescendo that build as he strings the ball along between the legs into the high-arcing swish is perhaps the greatest single rush in NBA history. Drugs can’t compare. 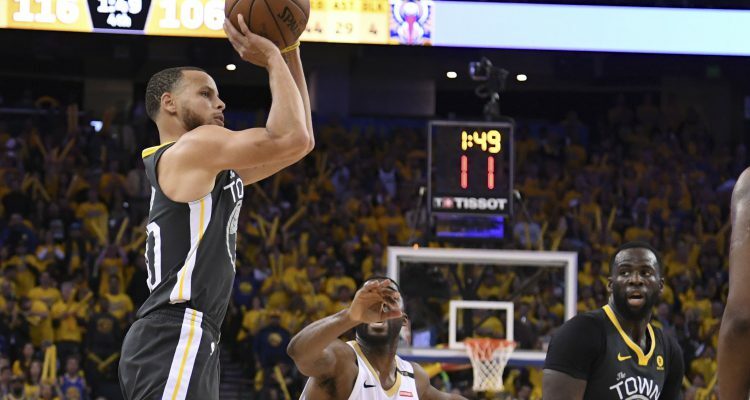 On Tuesday night, that same peak came as Curry fumbled to check into the game, jumping up and down the bench, and providing us several false starts as the refs couldn’t figure out when to check him in during free throws. When he finally walked on the court, swung his arms side to side, it became the first time all season the Oracle crowd engaged. Then the baseline pindown screen, the quick release no-hesitation 3, and perfection. With Curry back, the Warriors are favored to win game 3, check out our preferred basketball betting guide. 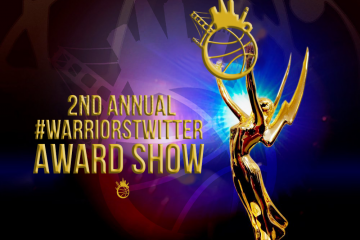 We know the Warriors identity. Draymond Green commands the defense. His singular ability to take out the opposing team’s best defense, the head of the snake, and protecting the rim at the same time, is unrivaled in the entire world. He’s still the best and most versatile defender on Earth. The stops and turnovers he creates into the transition opportunities turns 3-point leads into 12 in a 2 minute span like in the 4th quarter. On the other end, there is no more unstoppable force with or without the ball that Curry. The platitudes are endless, and will be written and rewritten until the end of time. 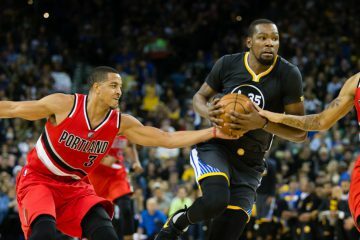 As the Warriors grew from the young, fun-loving team into the hated villains, and now into the greatest new dynasty, Kevin Durant’s infusion nearly completes the evolution. His unreal size, speed, and touch is unguardable in crunchtime. Steve Kerr didn’t bother breaking out the Steph/KD pick-and-roll. The postup on the baseline with triangle action from Steph/Draymond was enough. He went 5-6 from the field and 2-2 from the free-throw line. But it was the entire helplessness of the Pelicans and Anthony Davis that made this worse for the NBA. He could do nothing. He came from the opposite baseline for a double, leaving Klay Thompson wide open just to contest a KD fadeaway but it mattered as much as a Rajon Rondo jump shot. 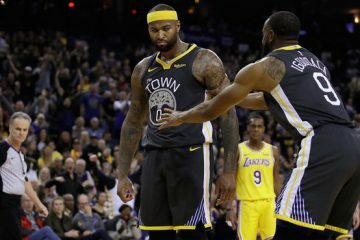 Just a few years ago, a crunchtime play became heavily reliant on either a Draymond short floater, an Iguodala finish at the rim, or a Harrison Barnes 3. Now, it’s an 8-foot fadeaway from one of the most unstoppable offensive players in the history of the NBA. That’s the identity of the Warriors now. They’re going to suffocate you on defense, take away your best player, crush you under an avalanche of Steph 32-footers, and if all that fails and you survive, the overwhelming weight of Kevin Durant’s scoring ability when the game slows will end your season. This season and perhaps the next few won’t be judged on and re-lived through history on whether the Warriors win games in crunchtime. Their final identity will quite simply be how dominant they are in all facets of the game, at all times.